Neothetics Inc (NASDAQ: NEOT) shares climbed 231.15 percent to close at $1.72 on Tuesday. Neothetics and Evofem Biosciences agreed to merge in an all-stock deal. Social Reality Inc (NASDAQ: SRAX) surged 70.73 percent to close at $4.90 after the announcement of its own Initial Coin Offering: BIGtoken. Destination Maternity Corp (NASDAQ: DEST) shares gained 48.75 percent to close at $2.38 on Tuesday after the company reported that it expects $10mn to $11 million in annual savings following operational update. The company said e-commerce sales increased 50 percent in the first 11 weeks of Q3 2017 versus 30.2 percent growth in Q2. Transenterix Inc (NYSE: TRXC) shares jumped 42.35 percent to close at $4.00 on Tuesday after climbing 92.47 percent on Monday. Syntel, Inc. (NASDAQ: SYNT) rose 27.23 percent to close at $24.30 on Tuesday after the company reported stronger-than-expected quarterly results. Diffusion Pharmaceuticals Inc (NASDAQ: DFFN) shares rose 20.5 percent to close at $1.94 after the company disclosed that it has received FDA protocol guidance for Phase 3 clinical trial with TSC in patients newly diagnosed with inoperable glioblastoma multiforme. 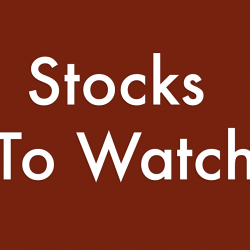 Benitec Biopharma Ltd (ADR) (NASDAQ: BNTC) shares gained 18.88 percent to close at $2.77. Benitec Biopharma appears to have won patent for Hepatitis B treatment. Cloud Peak Energy Inc. (NYSE: CLD) shares jumped 16.4 percent to close at $4.33 on Tuesday. Cloud Peak Energy is expected to release its Q3 financial results on October 26, 2017. Gravity Co., LTD. (ADR) (NASDAQ: GRVY) shares gained 17.3 percent to $50.08. OpGen Inc (NASDAQ: OPGN) shares rose 15.37 percent to close at $0.368 on Tuesday. Trillium Therapeutics Inc. (NASDAQ: TRIL) surged 13.33 percent to close at $6.80 on Tuesday. W W Grainger Inc (NYSE: GWW) climbed 12.69 percent to close at $205.42 on better-than-expected Q3 earnings. Ocean Power Technologies Inc (NASDAQ: OPTT) shares rose 12.50 percent to close at $1.44 amid a US patent doc related to a wave energy system. Sorl Auto Parts, Inc. (NASDAQ: SORL) shares gained 12.43 percent to close at $5.70. Inseego Corp (NASDAQ: INSG) rose 10.3 percent to close at $1.50 as the company issued a joint release with Verizon and Qualcomm highlighting collaboration with Novatel Wireless for commercial deployment of 5G New Radio millimeter wave technology. Xunlei Ltd (NASDAQ: XNET) shares gained 9.6 percent to close at $5.25 on Tuesday. Abeona Therapeutics Inc NASDAQ: ABEO) climbed 7.2 percent to close at $17.90. Abeona Therapeutics priced 5 million share public offering of common stock at $16.00 per share. UnitedHealth Group Inc (NYSE: UNH) gained 5.53 percent to close at $203.89 as the company posted upbeat quarterly earnings. Digiliti Money Group Inc (OTC: DGLT) shares tumbled 30 percent to close at $0.560 on Tuesday. Adomani Inc (NASDAQ: ADOM) shares fell 25.69 percent to close at $4.83. Adomani filed for $103.5 million offering of common stock. Immune Design Corp (NASDAQ: IMDZ) shares dipped 18.81 percent to close at $8.20 on Tuesday as the company reported FDA feedback on Phase 3 clinical trial design for CMB305 in synovial sarcoma patients. Inotek Pharmaceuticals Corp (NASDAQ: ITEK) fell 14.29 percent to close at $2.22. Repros Therapeutics Inc (NASDAQ: RPRX) shares declined 14.24 percent to close at $0.463 on Tuesday. Ardelyx Inc (NASDAQ: ARDX) shares dropped 14.06 percent to close at $5.50. Trevena Inc (NASDAQ: TRVN) fell 13.62 percent to close at $1.84 on Tuesday. VirnetX Holding Corporation (NYSE: VHC) shares dropped 12.31 percent to close at $5.70. Badger Meter, Inc. (NYSE: BMI) shares dropped 12.2 percent to close at $44.60 as the company reported downbeat Q3 results. Vical Incorporated (NASDAQ: VICL) dropped 11.54 percent to close at $2.53. Vical is expected to report Q3 financial results on Monday, October 23. Leading Brands, Inc (USA) (NASDAQ: LBIX) shares dropped 11.35 percent to close at $2.50 on Tuesday after climbing 24.23 percent on Monday. AVEO Pharmaceuticals, Inc. (NASDAQ: AVEO) shares dropped 11.34 percent to close at $3.05. ModusLink Global Solutions, Inc. (NASDAQ: MLNK) shares declined 9.9 percent close at $2.00. ModusLink reported a Q4 loss of $0.17 per share on revenue of $99.8 million. Briggs & Stratton Corporation (NYSE: BGG) shares fell 6.01 percent to close at $22.98. Raymond James downgraded Briggs & Stratton from Market Perform to Underperform.